I just got your email and you only attached the useless MSTE_M32.zip from the website, plus a photo of my graphics card. 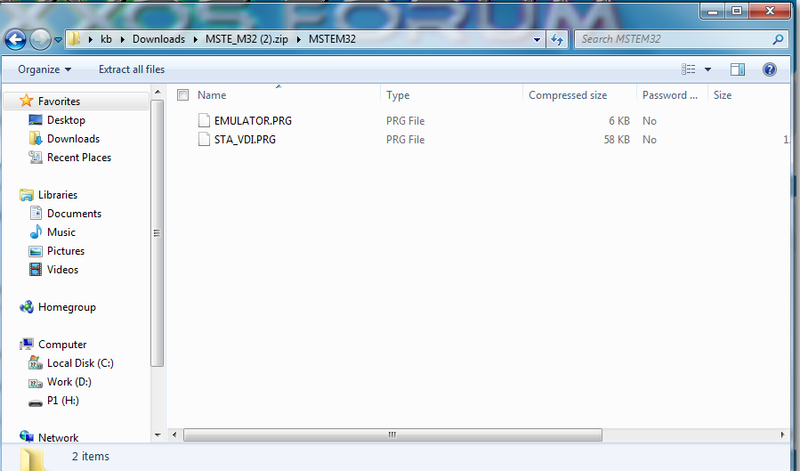 Inside is EMULATOR.PRG and STA_VDI.PRG, and nothing else. I'm not sure why you do this. Obviously I already downloaded this zip before. The problem I already said is it does not have anything to make it work. I don't need it again. I have to admit KyleB, that this is often the case with much modern Atari hardware, in my experience. But I have to remind myself, these people aren't selling mass produced items to the general public, they are selling extra items from their hobby to other like minded people. Sometimes it takes a lot more effort, but it's part and parcel of the experience. Finally, now the correct files, it works. Probably this thread is the only place online to get working drivers for nova+mach32. So at least the answer is here for people to find on google now. German I believe may be someone make a english one ? Tomorrow probably, sun is setting here, my camera is bad and useless indoors.